Renting a motorhome is a fantastic way to make a great trip with your loved ones. Explore your destination in your own pace in your house on wheels. Enjoy the comfort of home while you are traveling. 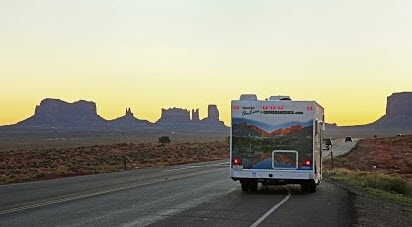 Choose one of our many cities to pickup your motorhome and start your trip of a lifetime. Arvy offers you a motorhome that has everything you wish for and will fit your budget. It is very important that you know what kind of RV you want to rent for your RV trip, because the RV will be your home away from home for a few weeks. We offer you broad choice of excellent rental RV's, 4WD's and motorhomes! Arvy is a renowed Dutch travel agency with a worldwide scope. 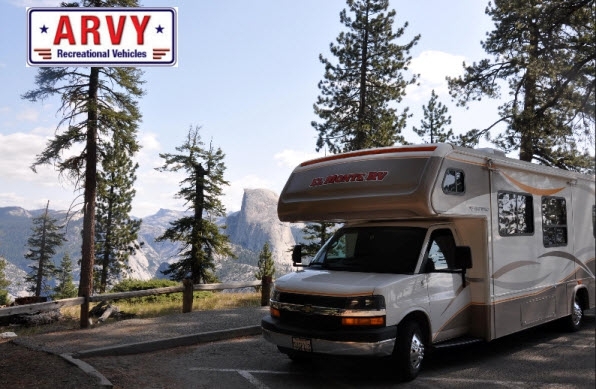 Arvy is a specialist in RV travel and trips. We closely cooperate with reliable contractors in order to offer you quality motorhomes and great service. Enjoy our personalized care, from the first quote till the end of your journey. We give you tips for renting a RV and we advise you on all the major RV rental companies. We can also advise you on the insurances you might need. On our website you can find all the RV types that the rental companies offer. Sufficient information to make a good decision. If there is something you are not sure about, you can always send us an e-mail. We will answer you within one working day. Arvy offers motorhomes and 4WD's in all major destinations. We take care after you and your reservation. No matter where you wish to go! Click on the red button below to access the live version of our online quote system and create one or more quotes in minutes! Yes, it is that easy.